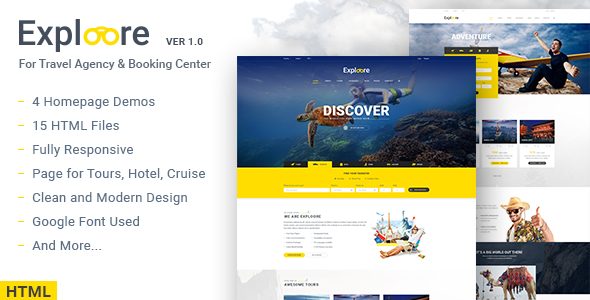 Exploore is a modern & fully responsive template which has been designed for travel website, travel agency, travel blog, tour operators, hotel, etc? It comes with 15 html files, 4 unique homepages, 11 other useful pages such as about, search, services, blog, contact… and more pages will be added in the future. It is also created with modern & interesting interactive animation, beatifully coded in Bootstrap Grid so it is a good start for other business as well. I can use it in production?